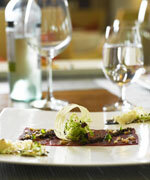 Would you like to have your restaurant featured in our Food Review Section? Here's an opportunity for you to let us partake in a food tasting session. We will rate your restaurant according to its value, service, ambience, food, an overall rating and a brief summary. Goodwood Park Hotel opened Min Jiang at One-North, its second Min Jiang restaurant, at no.5 Rochester Park in 2006. Part of the mega 200-hectare one-north biopolis, this is the first independent restaurant that the Hotel will continue to fully manage off site. Housed in a nostalgic 3,000 square foot, two-storey black and white colonial-style bungalow, there will be ample space for more than 200 guests. To date, Min Jiang at One-North is the only Chinese restaurant housed in a colonial style black and white bungalow and aims to appeal to local gourmands, tourists to Singapore or anyone who appreciates a dining experience in a charming ambience that makes you feel that you have been transported back in time. Set amidst undulating grounds and tree-lined winding roads, the restaurant is part of an exclusive enclave of 35 black and white houses. Together, these 35 unique houses are spread over Rochester Park, a beautifully luscious and green heritage area that is a stone’s throw from Anglo-Chinese Junior College, Singapore’s acclaimed Science Parks, the National University of Singapore (NUS), the National University Hospital (NUH), Singapore Polytechnic, Holland Village and Warren Golf Club. The new Min Jiang at One-North serves the same award-winning Chinese cuisine as Min Jiang at Goodwood Park Hotel. However, the house specialty here is its truly authentic Beijing Duck, prepared by Chefs from Beijing according to an ancient Chinese recipe. The Ducks are freshly delivered on a daily basis, marinated and stuffed with vegetables and a secret combination of Chinese herbs and spices. They are then roasted in a special custom-made wood-fired oven, in order to enhance and bring out their full flavour and aroma. 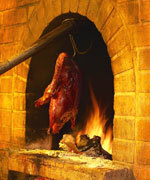 When roasted, the Duck is carved at the guest’s table. A slice of the delicious skin and a piece of duck meat are wrapped together in a paper thin flour crepe and served with a tasty special homemade sauce and 8 different condiments. In addition to Beijing Duck, diners can also enjoy other delicacies such as the Min Jiang Famed Lobster Noodles, Hot and Sour Soup, Pan-Fried US Kurobuta Pork with Foie Gras and award-winning Master Chef Goh Chee Kong’s Appetizer Platter (comprising crispy diced chicken marinated in Chinese Wine tossed with Wasabi dressing, wok-tossed lobster medallion coated in spicy egg yolk crumbs, crispy eel coated with vinegar sauce and sesame seeds, and pan-fried scallops in Tientsin Pear and topped with XO sauce). Amongst the awards and accolades it has won are Top 5 for “Most Outstanding Chinese Cuisine Chef” and Top 10 for “Most Exquisite Palate Experience – Chinese Cuisine” in Hospitality Asia Platinum Awards Regional Series 2008 – 2010, Singapore’s Best Restaurants 2007 – 2009 (Singapore Tatler), Regional Best Restaurants 2008 – 2009 (Asia Tatler), Top 5 Most Promising Chefs – Asian Cuisine 2006/2007 (Hospitality Asia Platinum Awards), Singapore’s Top Restaurants 2007/2008 (Wine & Dine), Best Asian Style Cuisine 2007 (Women’s Weekly) and Top 25 Restaurant Awards 2008 (Singapore Business Review). It also had the honour to have been selected as a partner restaurant in presenting its cuisine at the 11th World Gourmet Summit in April 2007. For reservations, please contact Min Jiang at (65)67740122. Nestled in the serene enclave of Rochester Park, Min Jiang is an experience worth savouring. 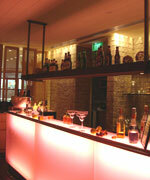 Even better is the view at night, where one can enjoy the fine food and oriental setting to match. 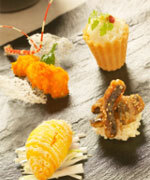 Dishes that impressed included the Mi Jiang Trio Platter which served Lobster Medallion coated with Spicy Egg Yolk Crumbs, Crispy Eel coated with Vinegar Sauce and Sesame Seeds and Crispy Soft Shell Crab with Pork Floss. It was a winning combination as the dish boasted a variety of flavours from the sweetness from the eel to the spiciness from the soft shell crab. Also worth noting is the Deep Fried Sole Fish coated with Crispy Milk. It was a unique pairing of fried fish and coating of milk on the crust, which was indeed a complementing flavour to every bite. 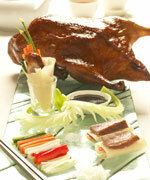 The best dish was their quintessential Peking Duck. The thin and crispy skin contrasted harmoniously with the tender meat. Better still, have it with their wide variety of homemade sauces and condiments. Every dish served was truly an artful presentation. Min Jiang truly delivers an exquisite sumptuous destination for the fine palates. Singapore’s MELT ~ The World Café. gourmet salads as well as an unlimited choice of appetisers. snapper and barramundi; as well as a carving of prime-rib of beef. enjoy meals at the restaurants. juices and soft drinks. Children’s price is at $48++ per child. sauce was a delightful experience. favourite ice cream or wide selection of toppings. fruits and marshmellows for dipping. selection of cut fruits and fruit juices. 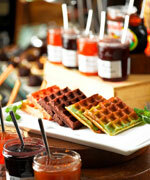 The desserts offering and ambience alone, relishes a five star. will serve champagne brunch every Saturday. parmesan chip, and marinated tuna with amalfi lemons. lasagna al forno, penne carbonara and tagliolini allo scoglio. the pool if you like the outdoors. 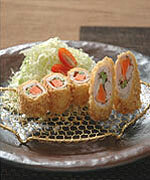 delicacies that have earned their place on the restaurant’s extensive menu. which is a hot favourite among their customers. texture and sweetness was just right. Do try it if it’s available on the menu. exciting new menu after months of intense preparation. an ongoing pursuit for perfection in all areas of Japanese dining. new menu with dishes that are bound to satisfy every discerning palate. focus strongly on the level of customer service and delivery. 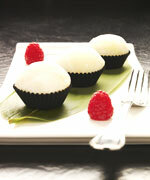 make up the perfect sensory dining experience guests return to TETSU. 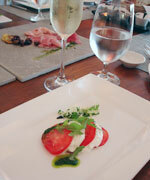 For reservations, please call TETSU at 68363112. 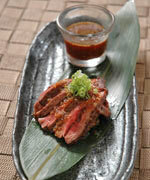 Indulge yourself in a wide selection of dishes from the new menu at TETSU. 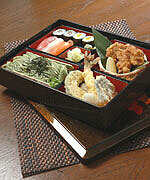 set menus to delicate sashimi moriawase and sumptuous kaiseki sets. various sauces and dips to cater to different taste buds. Overall, it was a great sensory experience for fusion Japanese dining. The word FeedLot refers to a plot of land where livestock are fed and fattened up. This underscores its parent company Swiss Butchery’s close ties with some of the world’s best farms, as well as its long 17-year history of supplying quality chilled imported meats and meat products to a discerning clientele. FeedLot Steakhouse Bar and Grill is a modern, casual-sophisticated eatery that allows meat-lovers to enjoy gourmet-quality premium steaks and farm-fresh produce — on days they don’t feel like cooking at home, but minus the stuffy formality many associate with classic steakhouses. Tucked away the from busy Orchard Road stretch, Feedlot Steakhouse Bar & Grill is located at the corner of Tanglin Road at the Singapore Post Office. Feedlot Steakhouse Bar & Grill offers a wide selection of steaks and meat and is the perfect place for meat lovers. Adventurous taste buds could partake in the Oven-Roasted Grain Fed Bone Marrow dish, which is topped with caper shallots. It offers a nice, gelatin-textured taste to the palette. 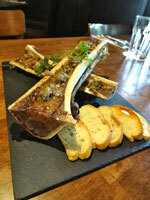 It is a refreshing new take for those who have never tried bone marrow. The Char-Grilled Tenderloin Salad with sweet lemongrass soy is one notable salad with a unique asian styled-caramelised soy, sweet but light. The tenderloin is slightly grilled with the corners of the meat beautifully charred. Prime Ribs is a presentable party platter with a generous portion. Each portion is 1.2kg so it is best shared with friends. The meat is tender and juicy, with not much seasoning or sauce needed to pair with. It is accompanied with fresh salad to give it the right balance. And is the perfect dish for meat lovers. The highlight of the dining experience would be the Burger with the Lot, the name may sound simple but the taste of the burger was extraordinary. The grilled angus beef patty was very juicy and moist, accompanied with bacon, sunny side up egg and aged cheddar. The pairing of the bacon with the angus beef patty was the best touch to the burger. Accompanied with juicy fries and mesclun salad, this would be the most satisfying meal of the day for sure. Overall, a great burger which was fuss-free and easy on the palette. With its extensive meat menu offering, great ambience, location and great food presentation, Feedlot Steakhouse Bar & Grill is highly recommended for those who would like to try out European comfort food. Menu crafted by Executive Chef Gan Swee Lai and his team. a fun element. This menu is available for lunch and dinner daily. culinary styles with modern flair. 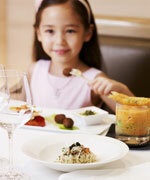 dinner menu is priced at S$68++ per child. marinated with vanilla syrup. Accompanying the meal is an invigorating Strawberry Bubbles mocktail – a mix of lime juice, strawberry puree and 7 Up. is famed for serving some of the finest choice cut steaks in Singapore. prepared and cooked to perfection. 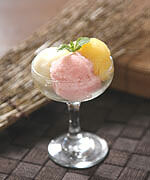 Popular cuts include the U.S.
with caramelised apple and raspberry vinegar sorbet. For soups, the Trio du soupe is a must-try as it allows diners to taste a combination of cappuccino of fresh mushroom, lobster bisque and a choice from the Gordon Grill’s list of classic soups. guests who like English desserts. Gordon Grill has been serving up one of the finest steaks in town. flavour of the truffle oil was rich enough to titillate the taste buds. refreshing experience for an egg and ham combination. stood out as it did not require much seasoning or sauces to go with it. presentation, Gordon Grill definitely warrants a revisit. Quayside Fish Bar & Bistro aims to bring you the best and freshest fish and seafood from around the world, in a gastrobar setting. Air flown in on the day itself, simply pick your favourite item. Choose how you would like it done or let the chef recommend you and pair with their finest selection of wines and craft beers and kick back and relax overlooking the senic waterfront views of the Marina. The alfresco section is also pet-friendly. Tucked in a waterfront setting, Quayside Fish Bar & Bistro offers the best of both worlds, a scenic waterfront view to your favourite fresh seafood. 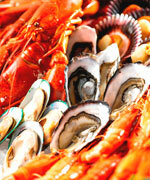 It is a place you would want to bring your family, friends and colleagues for a good seafood catch. Quayside Fish Bar & Bistro offers a comprehensive ala carte menu from appetizers to desserts or you could choose from the set menus that won’t break the bank. 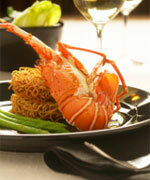 It ranges from about S$29++ for a 2 course lunch menu and S$39++ for a 3 course lunch menu. 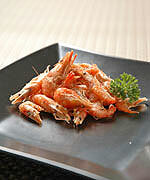 The highlight to the menu would be the fresh seafood. Notable dishes would be their soft shell crab salad dish – Soft Shell Crab & baby spinach, fried leek, sesame and onion dressing, crumbled and edible flower. The soft shell crab is not only very fresh, it is crispy on the outside without the guilt and moist and buttery on the inside. It was a hit even with non-crab fans. A must try dish. Even the Tiger Beer- Battered Halibut main course was a favourite. The fish is fresh and coated with a crispy batter and inside was tender and soft. You get to dip in the usual tartar sauce or their self-made infused yuzu shoyu sauce, which was really refreshing and light. For pasta lovers, you will not be left out as you could try their pasta dish – Seafood Tortellini Prawns, Mussels, Saffron Cream Sauce. The saffron cream sauce is rich but the fresh prawns and mussels balances off the richness on the pasta. The fresh seafood on this plate is a reason you could try this dish. One of the best part is the menu comes with a wide selection of desserts from gelatos to lava chocolate cakes. It is highly recommended to seafood lovers as Quayside Fish Bar & Bistro offers a wide selection of menu for their soup, salad, oysters, fish (and the way you like it done), crustaceans and dessert. The prices are also affordable with lunch and dinner menus available.The set lunch menu features daily chef specialties based on the freshest catch of the day (today’s featured dish may not be the same one as tomorrow or day after therefore customers can always look forward to finding out what’s the latest dish featured in the set lunch upon every visit. Best of all, the breathtaking view of the Marina to enjoy your meal is simply priceless.